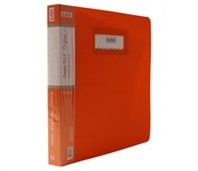 Clear books play an important role in keeping the documents organized. 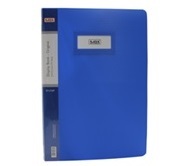 No matter whether you are a student or a professional working in an office, you need clear books to keep your documents safe. They are mostly used for storage of documents and also for presentation purposes. No matter what type of documents you want to store inside these clear books, they will be an appropriate holder to contain them. The clear books we provide give an exceptional document storage option that will keep all your files and documents in an arranged way. It is the easiest way to carry your documents around. You must have always felt the need to keep your documents organized in a single storage which is easy to use and convenient to carry as well. The clear books we offer you from DCGPAC are the best way to do it. You can include any type of documents such as price lists, catalogues, design demos, pictures, etc. 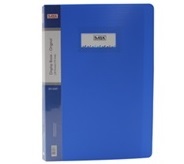 All the clear books we avail you are made up of high quality raw materials which use ISO compliant manufacturing procedures. 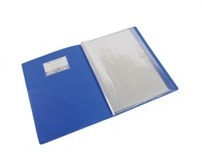 The front cover consists of a card pocket and is strong and rigid enough to keep your documents safe. They have extra large pockets which can contain around 6 sheets in each one of them. The side loading prevents the documents from slipping out of the file which can happen with other files that you store your documents in but not this. These clear pockets we offer are sturdy and transparent in nature which lets you see what's inside. Also, they are accompanied with different colored index tabs which make it easier to search for documents. For the lowest prices and superior quality, always choose DCGPAC. We are the largest online suppliers of packaging materials in India and assure you of providing quality products always. 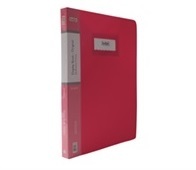 Buy clear books online at really afforded prices from DCGPAC. Order them now to get them quickly delivered to your doorsteps.